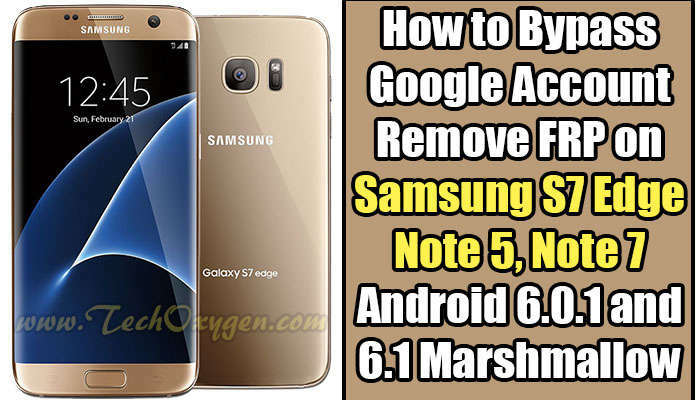 How to Bypass Google Account, Remove FRP (Factory Reset Protection) on Samsung S7 Edge, Note 5, Note 7 Android 6.0.1 and 6.1 Marshmallow. 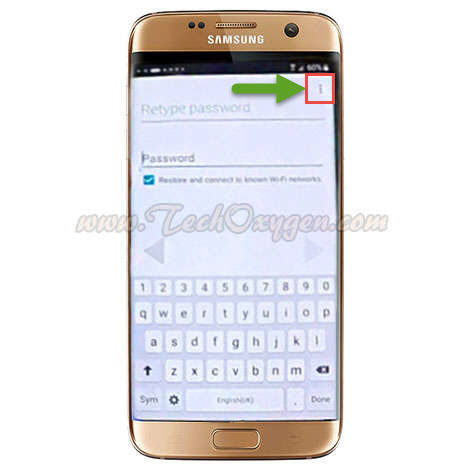 Samsung S7 Edge Bypass Google Account, How to Remove Galaxy S7, Note 7, Note 5 Google Account, Galaxy S7, Note 7 Bypass Google Account. Why S7 Edge FRP Lock. 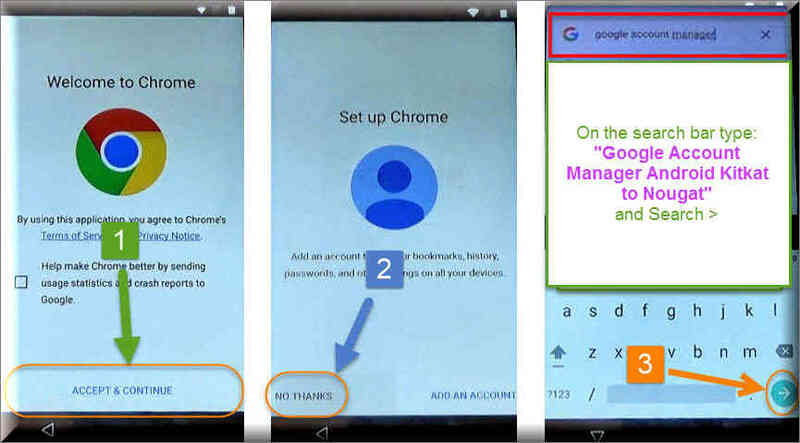 How can I Bypass Google Account S7 edge? 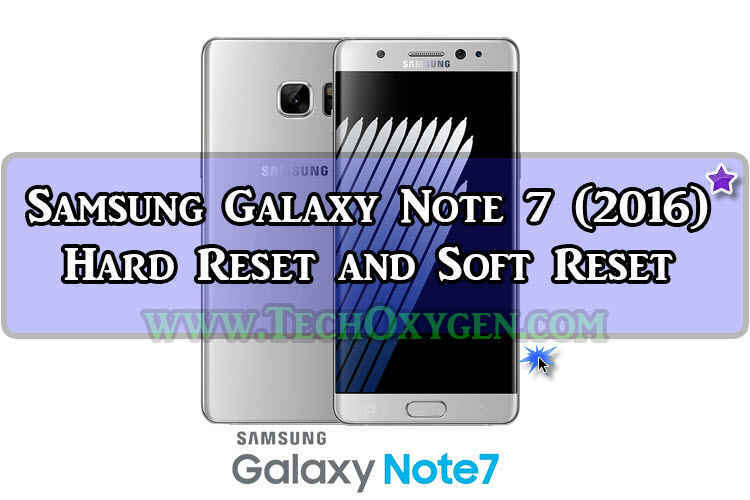 What is Galaxy s7 or Note 7 FRP Bypass, S7 Edge FRP Unlock. 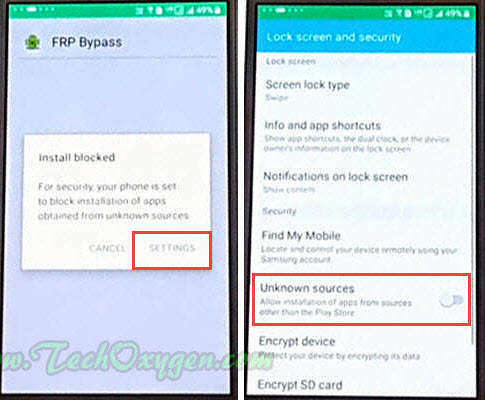 How to do Samsung S7 FRP Bypass, What is Note 5 FRP Unlock? and Note 7 Bypass Google Account FRP. 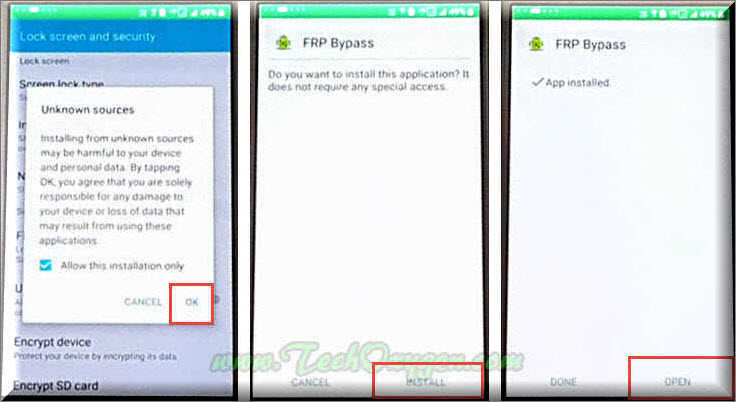 We have posted many articles about Google Account Bypass and Unlock FRP for Samsung Phones. Many people are getting help through them and some are still having problems. So, we are back with a new guide to Bypass Gmail ID and Password Screen on Samsung Note 7 and Galaxy S7 Edge. 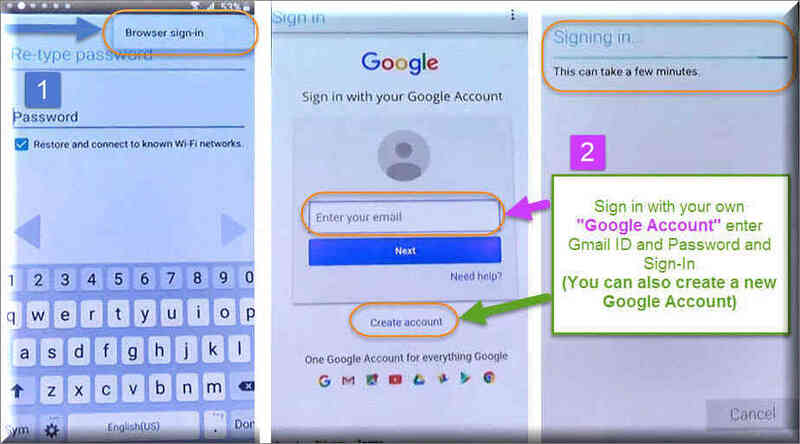 If you are still stuck at FRP Lock or Google Account Verification screen on Samsung Galaxy Note 7. Fortunately this guide will work perfectly with your Note 7 device and for Samsung S7 Edge too. 1st Step. 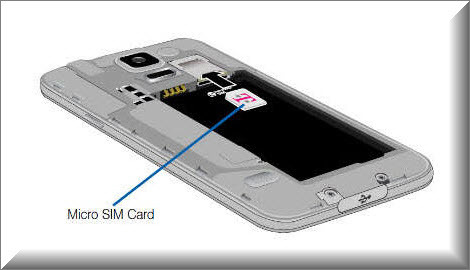 Insert an active SIM Card and Power ON your Samsung PHONE. Connect to WiFi Network > Agree to the Terms and Conditions. 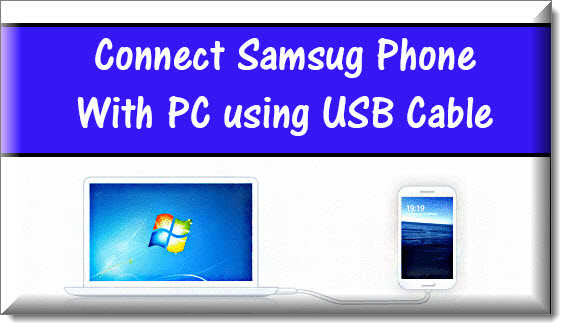 Make sure you’ve Installed the Samsung USB Driver and RealTerm in your computer then Connect your Phone to computer using USB Data Cable. 2nd Step. From your Desktop, Right Click on “MyComputer” then Click “Manage”. 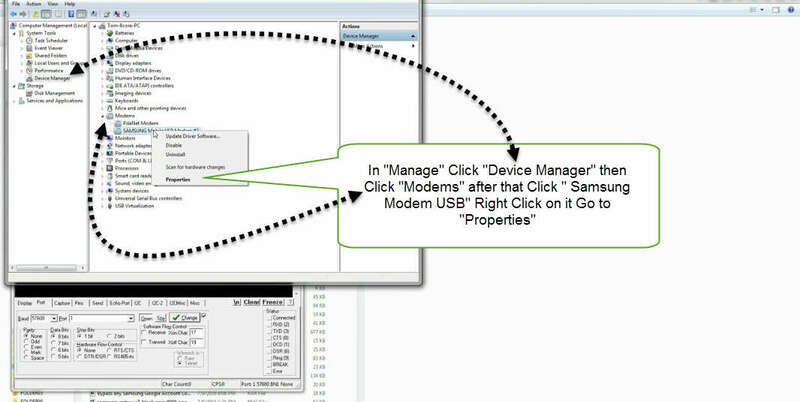 After that Click on “Deivce Manager” now here find “SAMSUNG Mobile USB Modem” right click on it then click “Properties”. 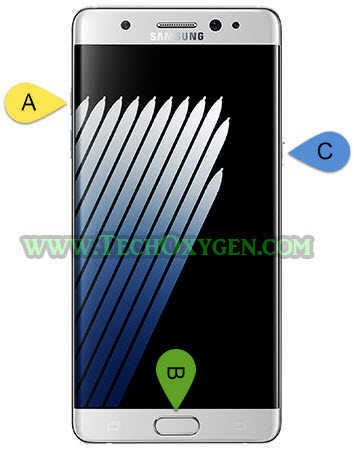 Now here Check what is “COM PORT” of your Samsung Phone. 3rd Step. 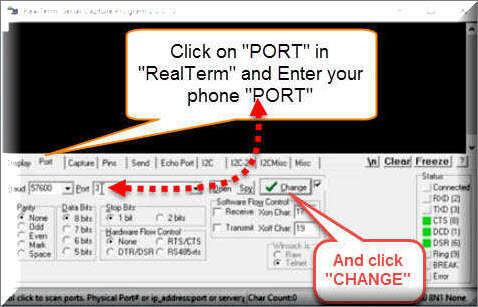 Open “RealTerm” then copy the “COM PORT” and paste it on the Port section of RealTerm. Put this and click “Send ASCII” and then Put the Second command. 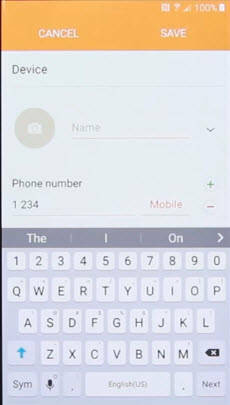 (If “198” does not work for you then, Put your any Second number in place of 198 and then click on “Send ASCII” after that you’ll make an outgoing call on that number. 5th Step. When you Enter the 2nd Command and click on “SEND ASCII” your phone will ring to that number. 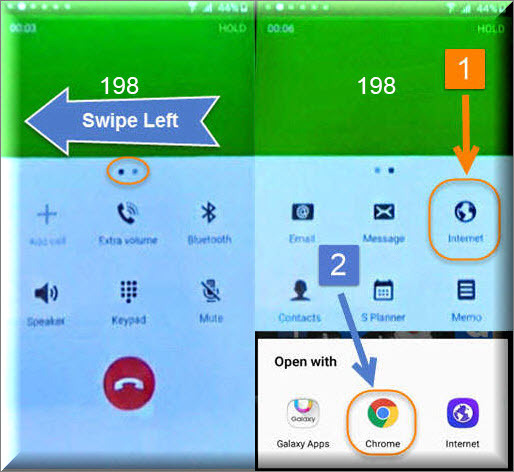 Basically 198 is “Customer Care” number, Once your Call Picked UP by them, Swipe Screen left and tap on “Internet” then tap on “Chrome Browser”. 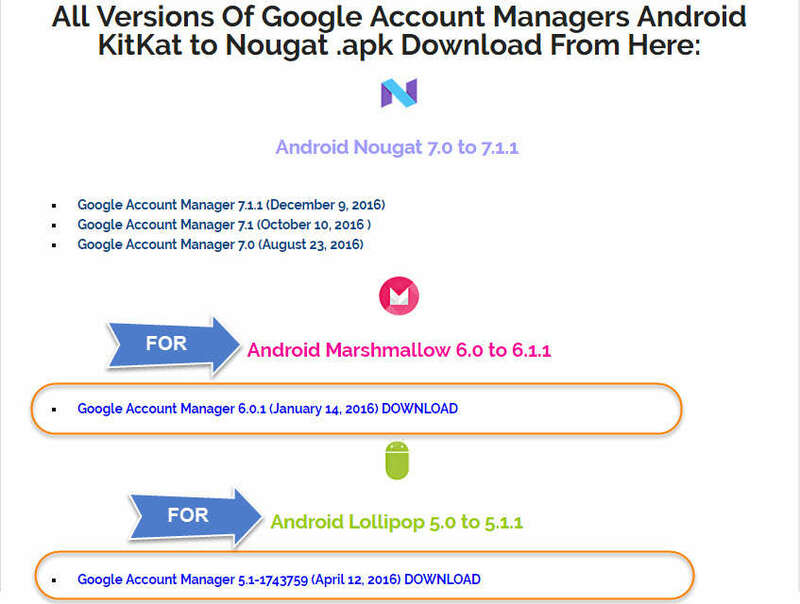 “Google Account Manager Android Kitkat to Nougat“ and search. 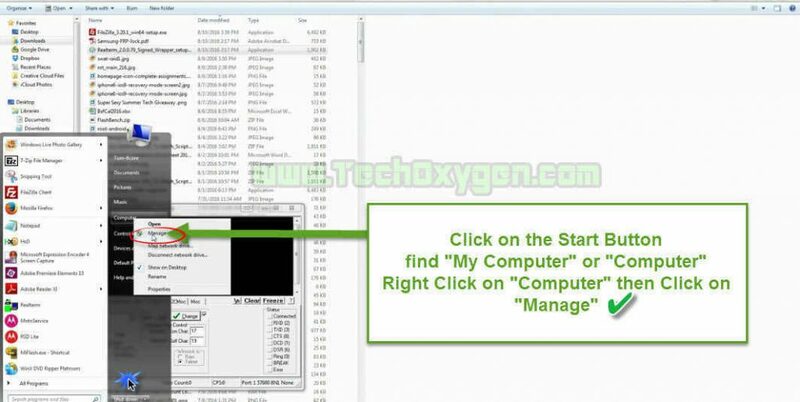 Open the search result with “TechOxygen”. 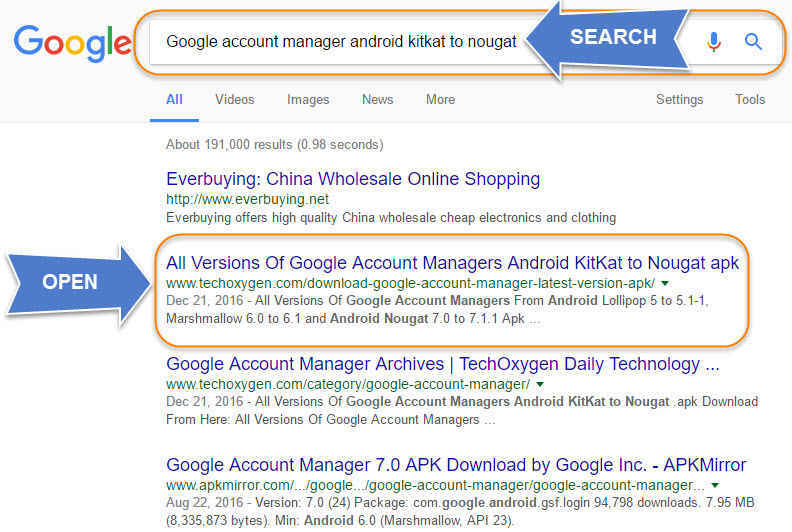 Now from here you will see the list of Google Account Managers applications. 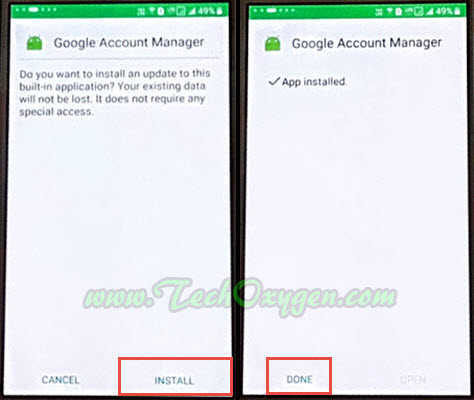 You should download the right Google Account Manager for your device for “Android Nougat 7.0 to 7.1.1, Marshmallow 6.0 to 6.1.1, Lollipop 5.0 to 5.1.1 and Kitkat”. Choose the manager which support your Android Version. 7th Step. 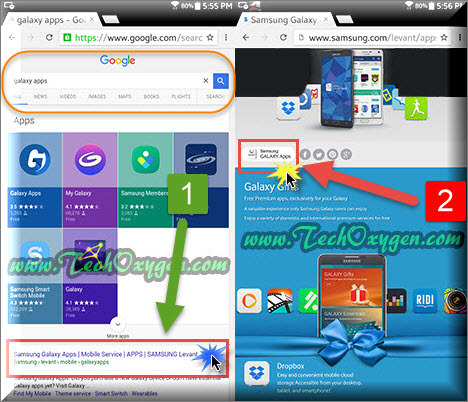 After downloading both files, Go back and type “GALAXY APPS” on search bar and go to “Samsung/levant/apps/” website and inside the website tap on “Galaxy Apps Icon”. 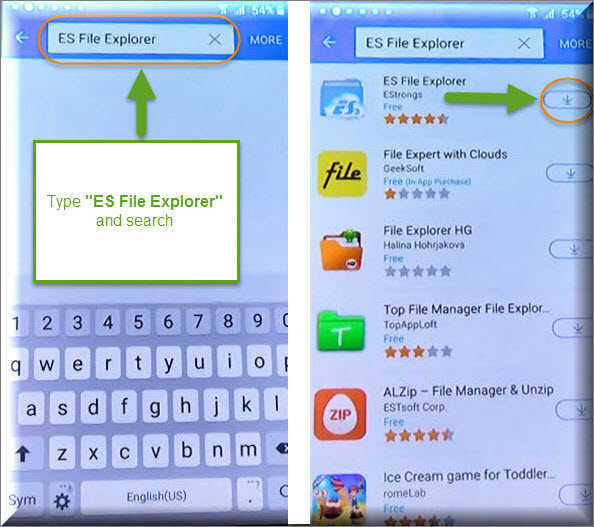 Search for “Es-File-Explorer” and tap Install, here you need to enter your Samsung Account. 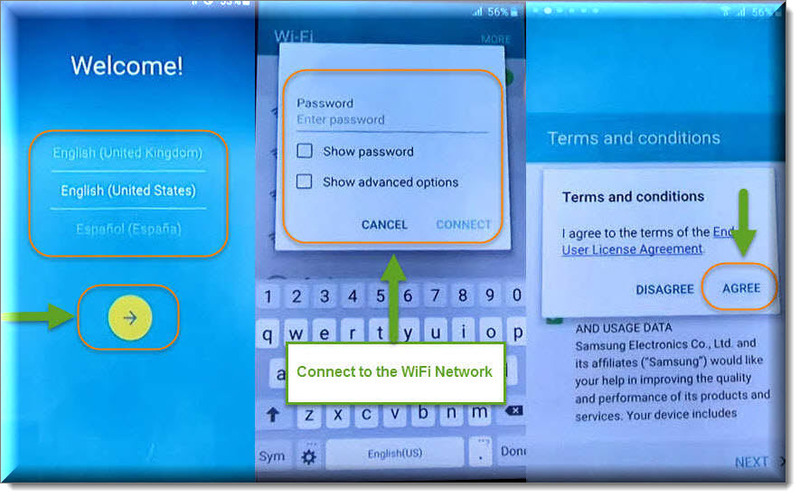 Login with your Samsung Account if you don’t have any tap on “Create Account” to create and then Download and install the File explorer. 8th Step. 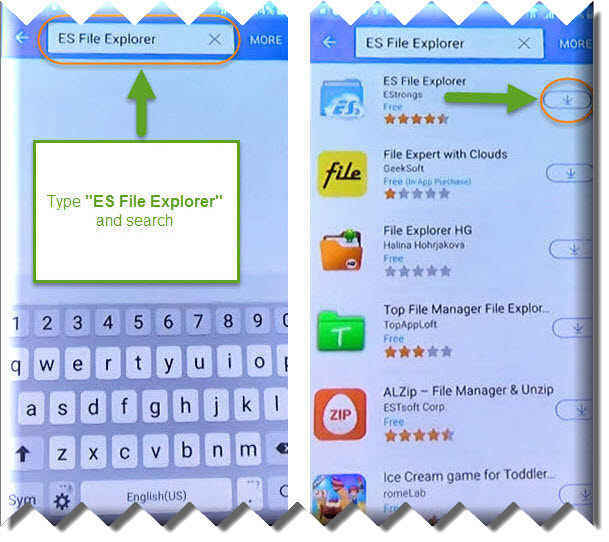 Open “ES File Explorer” then tap on “/” to navigate and find “Download” folder to locate the files you download before. At first tap on “Android_6xx_..” and then “Installed blocked” message will Pop-UP, Tap “Settings” scroll down to Enable the “Unknown Sources” then go back and Install “Android_6xx_..apk” Application. 9th Step. 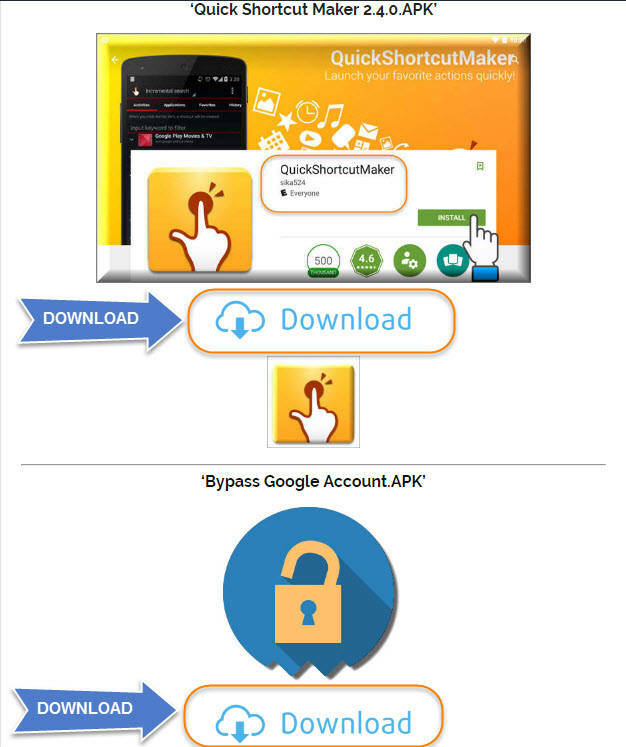 Once you Installed 1st Apk, time to Install the next one with the name “Account_Login_..apk” Tap on it and again go to “Settings” Enable the “Unkown Sources” and Install this “Account Login Apk”. Last Step. FRP Bypass installed, tap on “Open” and then you’ll have the “ID and Password” screen, Tap on “:” three points then tap “Browser Sign In” then tap “OK”. 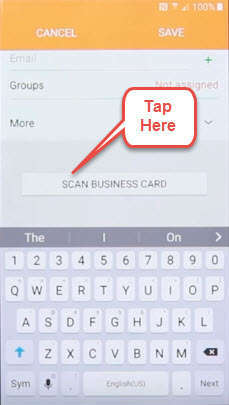 Now from here you can Easily enter your OWN Gmail ID and Password, Your Google Account Details. You can also make a new Gmail Account and Enter in to you Samsung Galaxy S7 Edge, Note 7 or any other Samsung PHONE. > So, Once you Signed in to you account. Go Back < and Restart the Phone by pressing Power Button. Complete the Initial Setup, Connect to the WiFi network. Congratulations, Now you don’t have any FRP LOCK or Google Account Verification Screen. Enjoy your day! 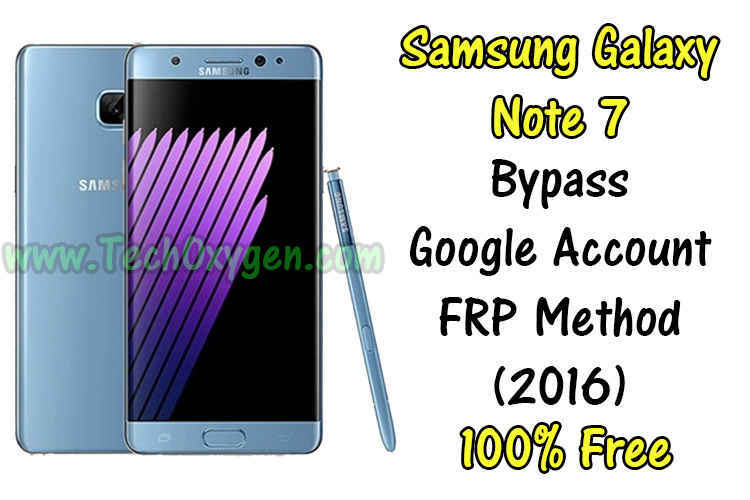 FRP Google Account Unlock Samsung Note 5 Note 7.